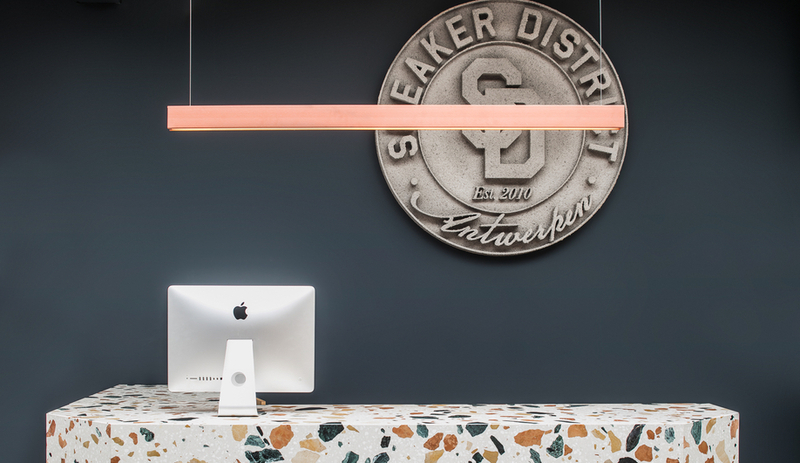 For Sneaker District’s Antwerp outpost, interior design firm Barde + vanVoltt created a space filled with custom displays, covet-worthy sneakers and a bold terrazzo counter reminiscent of Nike’s elephant print. It seems so obvious. When Amsterdam interior design firm Barde + vanVoltt was tasked with designing a space for streetwear boutique Sneaker District’s Antwerp location, they wanted to create something bold, comfortable and futuristic. The solution became immediately evident: they conceived retail space inspired by – wait for it – sneakers themselves. But Sneaker District wasn’t designed entirely to resemble something created by Tinker Hatfield. 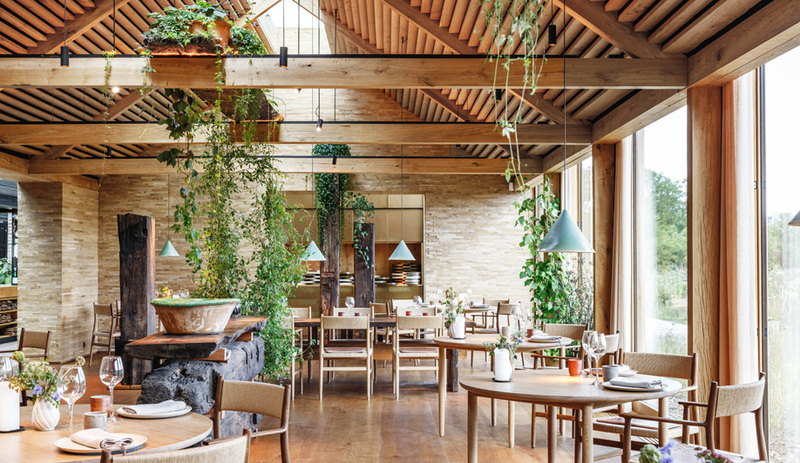 One of the first things Barde + vanVoltt considered was the store’s surroundings – it’s nestled in Antwerp’s historic Saint Andrew’s neighbourhood, on a strip known for its antique stores. So as a nod to its neighbours, the storefront features a vintage display cabinet, only filled with sneakers instead of vintage wares. As one enters the store, they’re greeted by two things: a black-and-white mural painted by Amsterdam creative / DJ collective Vage Gasten – which is laced with historical Amsterdam and Antwerp references – and a hallway defined by contrasting polished concrete floors and a custom-made, cotton candy-coloured scaffolding. 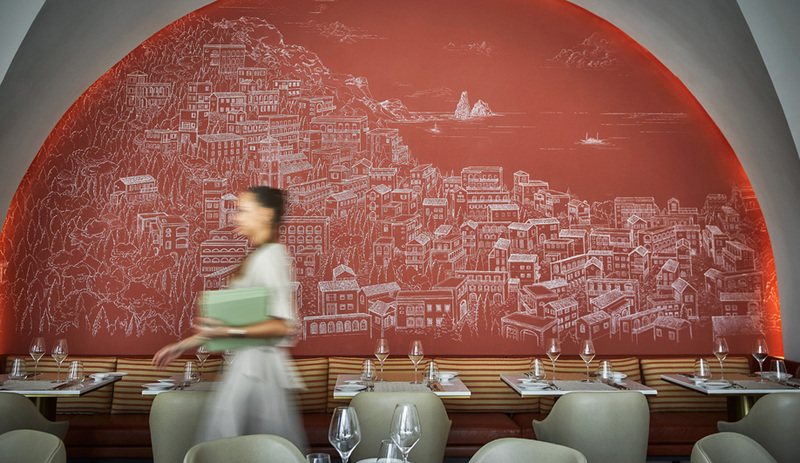 That pink, as the firm noted, is a recurring motif. The scaffolding has multiple functions: it displays shoes, hangs clothing, houses thin strips of LED lighting and even provides seating. 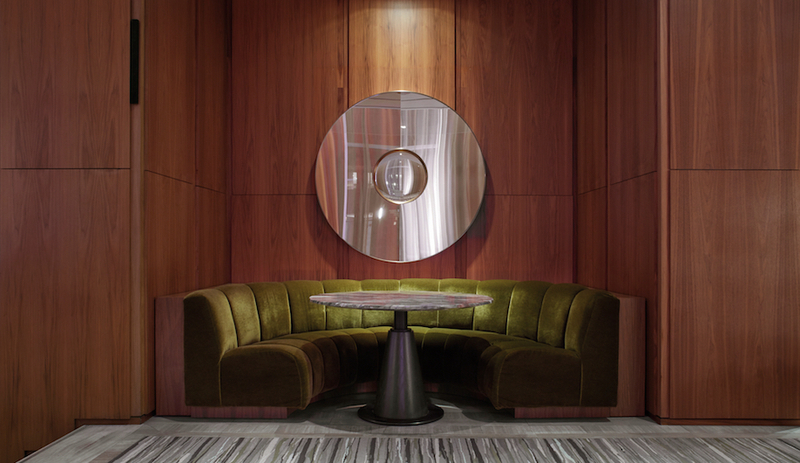 Eventually, the hallway opens up into the boutique’s rear, revealing a skylight-lit space that is part clubhouse, part minimal retail space. Barde + vanVoltt says the contrasting materials were inspired by sneaker design. 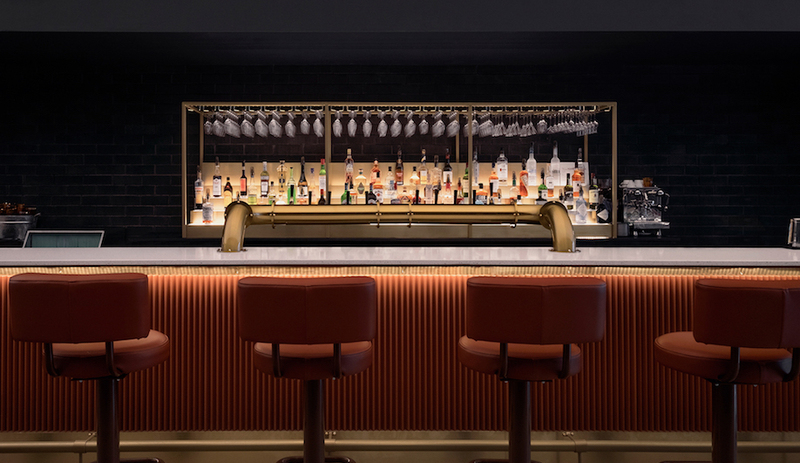 And not in an abstract way, either: the register counter is topped with Marmoreal terrazzo, made from marble studded with resin and polyester, which nods to Nike’s signature elephant print. The custom-made, steel cage displays were inspired the mesh portions of a sneaker. Concrete heptagonal podiums display shoes, adding a geometric pattern to the room. The material interplay blends natural and synthetic elements, highbrow and lowbrow, comfort and accessibility – just like many classic Nikes. 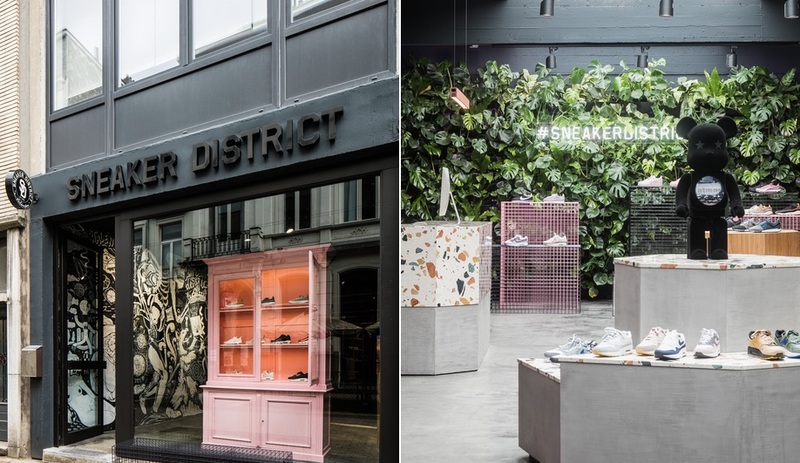 “Custom-made displays in wood and pink steel and a concrete floor give the store a fresh, tailored look, whilst vintage elements such as the sofas9 and the antique cabinet keep it accessible to everyone,” says Sneaker District owner Marc van Dodewaard. “The perfect mix.” Our inner sneakerhead agrees.